Zondervan Publishing Company, 9780310251019, 256pp. If you're unprepared for a book that makes faith come alive in practice, that makes past come alive in the present--and offers these gifts only if you're willing to spend significant time learning about the church's powerful, active spiritual heritage (and your place in it), then put this book down now.Still with us? Good Because we really don't want you to miss this book.Soul Shaper is hands-down the most comprehensive primer on the study and use of spiritual and contemplative practices for the benefit of your teenagers--and especially your own soul.Inside, author Tony Jones gives wings to his critically acclaimed debut, Postmodern Youth Ministry, by lucidly explaining how you can put postmodern ideas to work by learning powerful disciplines such as--Sacred ReadingThe Jesus PrayerThe Ignatian ExamenThe Daily OfficeStations of the CrossSabbathSilence and SolitudeCentering PrayerSpiritual DirectionThe LabyrinthPilgrimageService...and eventually implement them into the life of your youth ministry But Jones cautions us all: 'These are not gimmicks. This isn't an Ideas book or a discussion starter book or a great-games-for-over-50-kids-in-a-gym book. This is a strange book. Although it's about spiritual exercises and their application in the practice of youth ministry, please practice them before you implement them You won't come close to learning everything you need to know after reading this book. In fact, you may be a few years from utilizing any of these practices in your youth ministry. But if you find one or two that you incorporate into your rule of life, I'm quite sure that you--and the students God has put into your care--will be eternally changed as a result. 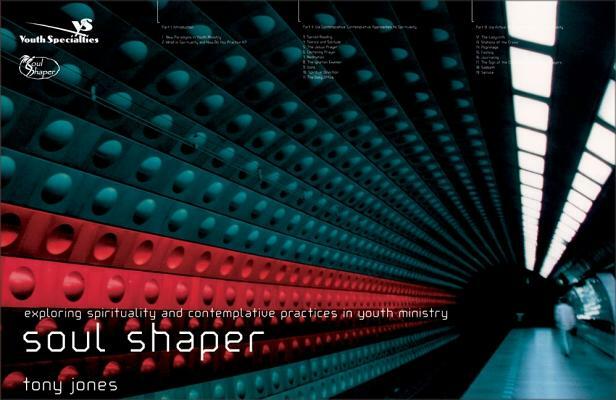 'Complete with unparalleled instruction, deep and rich resources, and a look into Jones' research, travels, and personal journals as he bathed in the serene light of contemplative Christian spirituality, Soul Shaper is your next best step on the postmodern path.